New Year, new you. But what about New Year, new pool? If you’re considering installing a pool in 2017, there might be some things you’re not prepared for once the work is done. Before you set your bathing suit out for months of splashing and fun, here are some things to consider as a new pool owner. Whether you have children, pets or none of the above, pool safety is an important factor. Having a gated fence, an alarm and a pool cover for the off-season are all great add-ons to keep loved ones and uninvited visitors (such as neighborhood children) safe from water accidents. Sadly, the sparklingly water in your new pool on opening day won’t stay that way all season. In a recent blog post, 4 Senses for Healthy Swimming, we talked about how to tell if your pool is in tip-top shape. Maintenance is important and takes a lot of work. Hiring a professional caretaker is always easiest, but if you want to care for your pool on your own, it’s vital to be educated on what needs to be done and stay on top of the work. The days of just a simple pool adorning the backyard are over. Today, the extras are endless. Whether it’s waterfalls or fountains, decorative coping, pool slides, specialized or LED lighting, and / or lush poolside plants, the choices are truly endless. However, it’s also important to think about the cost and maintenance of these items before making any final decisions. Planning a new pool in the New Year? 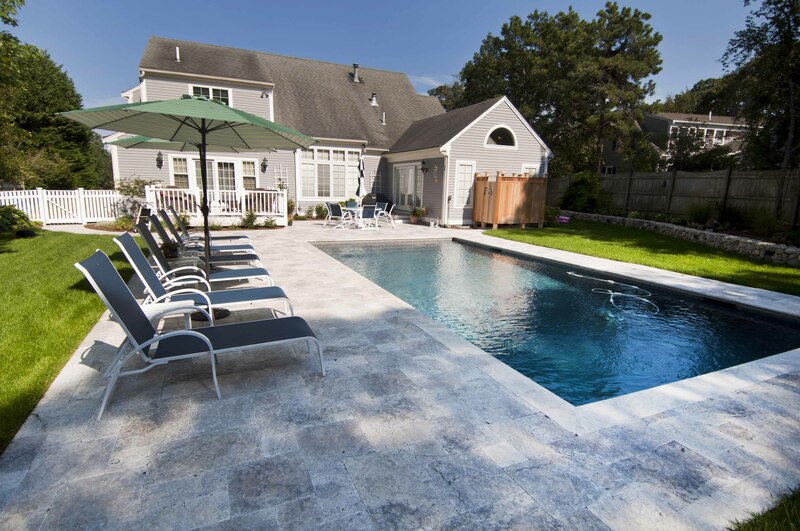 Call us at 508-432-3445 or email info@shorelinepoolsinc.com to chat with an installation expert.